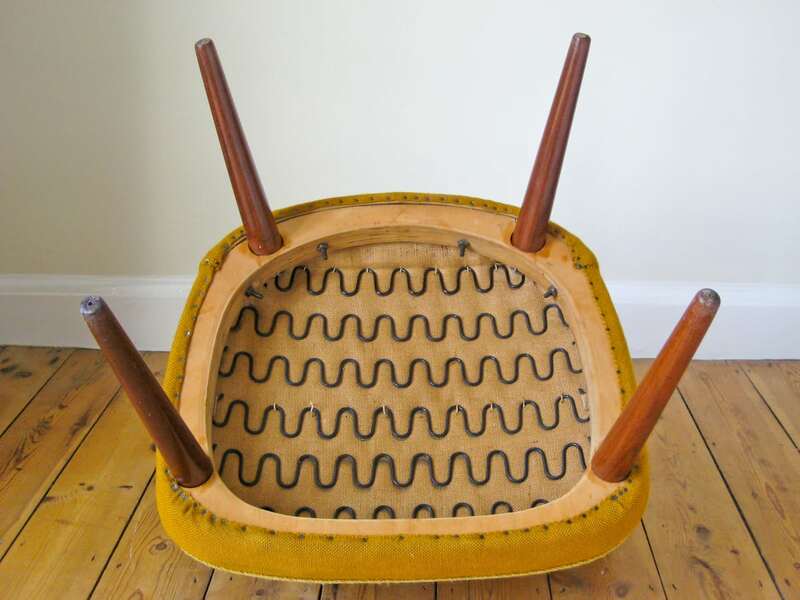 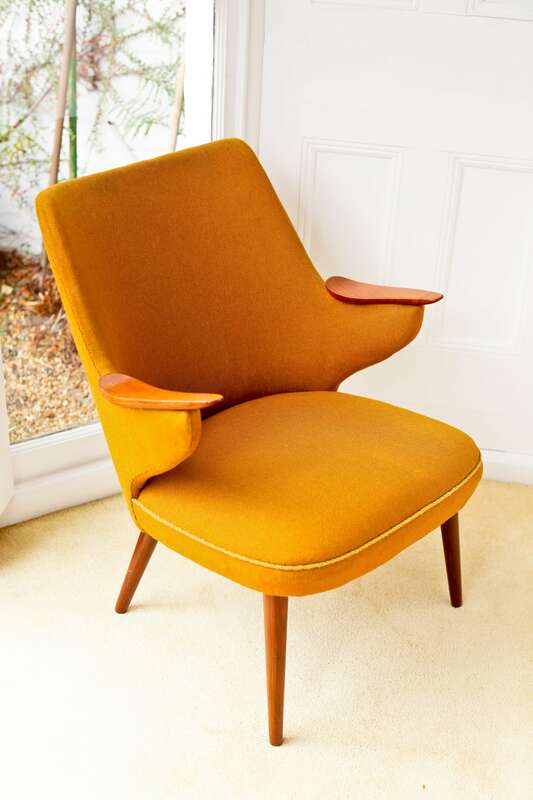 A Danish mid century furniture armchair of small proportions. 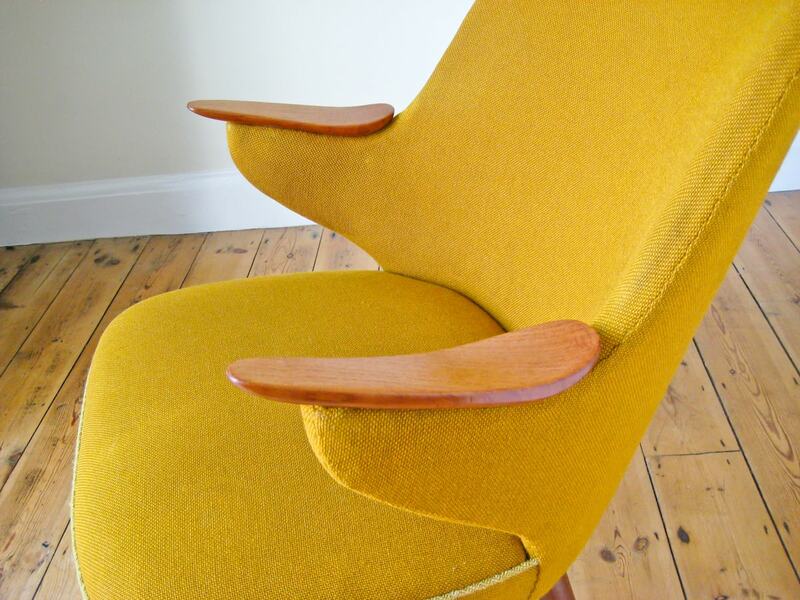 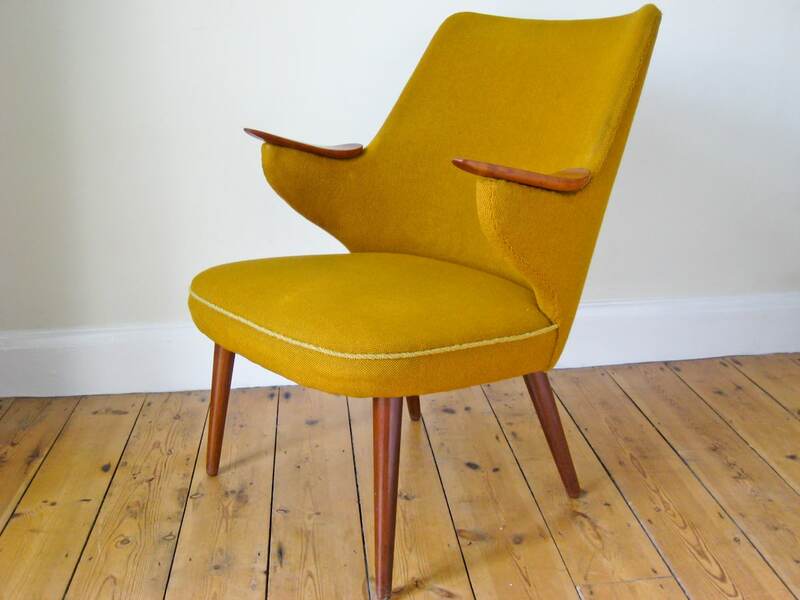 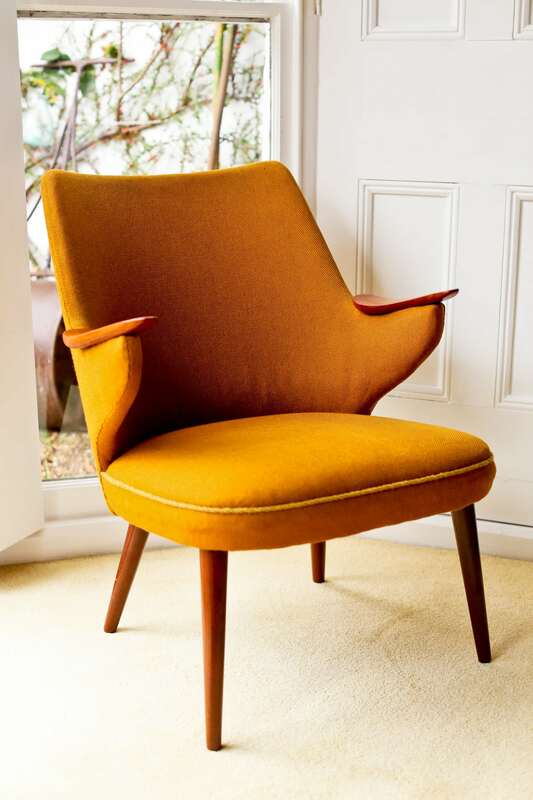 Original yellow wool upholstery with teak armrests and legs, all in an excellent original condition. 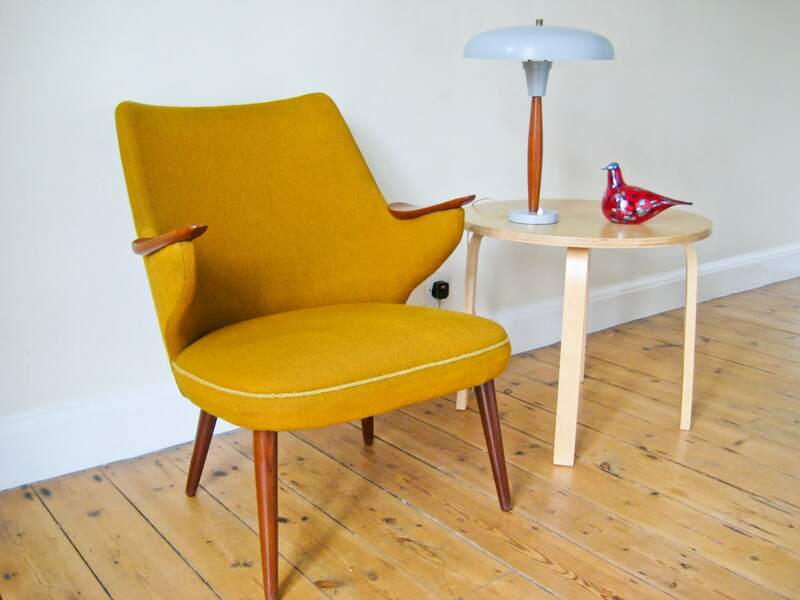 A charming mid century furniture London armchair with loads of character and personality to give your sitting room a cozy Danish feel.